We all know the feeling: that sinking sensation of vulnerability that comes with a credit check. A bad credit score can have a dramatic effect on your future financial opportunities and make it harder to secure personal loans. So, what do you do if you find that you have a bad credit score? Fortunately, bad credit is a hole you can climb out of with fiscal discipline and smart money habits. Credit ratings assess your past management of bill payments, mortgages, rent, credit lines, and other financial obligations. It stands to reason that managing these things better will lead to a better credit score, but if you’re struggling with outstanding debts or behind on your bills, this can be easier said than done. Continue reading to learn our five steps to salvage a bad credit score. The first and most important thing you should do to earn a good credit score is to always pay your bills on time. It seems obvious, but punctuality with bill payments doesn’t come easily to everyone. 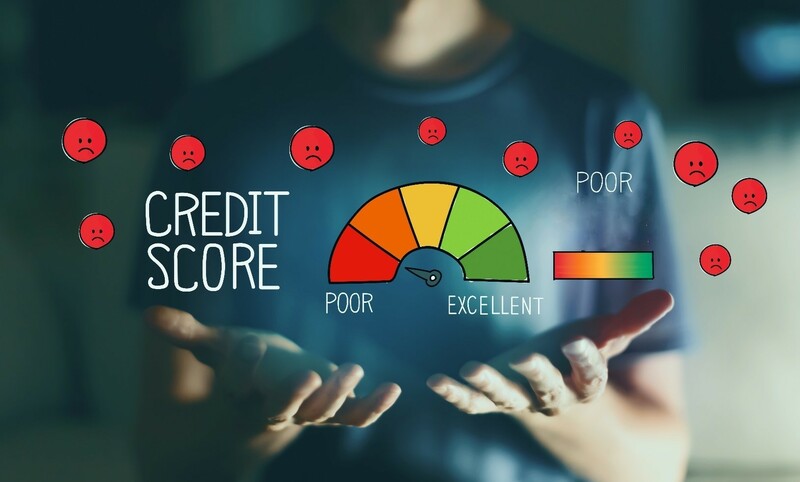 Utilities like electricity and internet providers will report late payments and delinquent accounts to credit reporting agencies that determine your credit score. If you struggle to prioritise your expenses or keep track of due dates, automatic payments can help, but be careful that you don’t create financial shortcomings elsewhere as a result. Before lenders banks or lenders consider giving you credit, they will naturally want to know how much outstanding debts you have with existing lines of credit. If you have multiple credit cards maxed out persistently, lenders will determine that you’ve already burdened yourself with too much debt to reliably shoulder more. If you open lines of credit, keep them paid down. Maintaining some breathing room in your credit will reflect well upon your credit score. Applying for new lines of credit can also put the weight on. This is because every application for a new line of credit opens an inquiry into your credit reports. A deluge of credit applications at the same time can trigger concerns that you are desperate, and don’t demonstrate the financial stability necessary to inspire confidence from lenders. This is not to say that you should never open any lines of credit, but finding an appropriate balance when applying for credit can send the best message to credit bureaus. Take you credit applications one at a time, and consider an achievable bad credit loan to improve your credit score, and bring down interest rates on subsequent lines of credit. Sure, it isn’t wise to apply for too much credit at once, and you should avoid amassing too much debt on your existing accounts, but you should still be credit active. Creditors don’t want to see that you’ve never owed anybody anything ever. Instead, they want to see that when you do borrow, you do so responsibly and pay your debts studiously. This is commonly referred to as your credit footprint. Demonstrate responsible borrowing habits. Borrow within your means and pay your debts off as soon as possible. Checking your credit report regularly is important because it gives you the opportunity to spot errors in your report. You are legally entitled to dispute mistakes in your credit report, and credit bureaus are required by law to follow up and investigate those mistakes. Even if you have practiced responsible fiscal habits your entire life, errors in your credit report could have serious consequences if you don’t identify and correct them. By disputing errors in your credit rating, credit reporting agencies are then obligated to verify their reporting. If they can’t, the item in your report must be removed. Sometimes, however, the best course of action when trying to salvage your credit score is to simply wait. Demonstrate good spending habits and eventually the significance of your past financial woes will begin to fade. When it comes to improving your credit score, you don’t have to go it alone. For more information on the steps you can take to improve your credit score, contact Max Loans today!